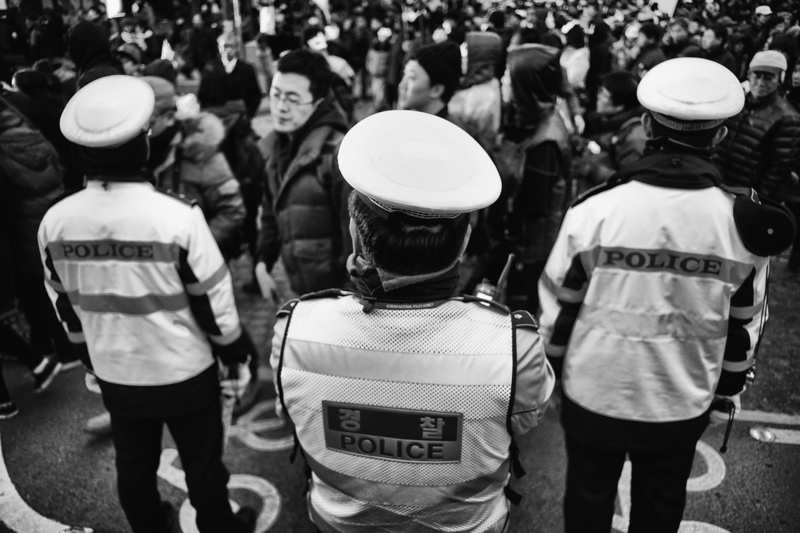 On December 5, 2015, thousands of South Korean anti-government protestors descended upon Seoul to oppose labor reform laws and to ask for President Park Geun-hye to resign. Protestors also stood together opposing government sanctioned history books and policies that allowed the Sewol Ferry Tragedy (which took the lives of 294 passengers, a majority of which were Danwon High School students) to occur. 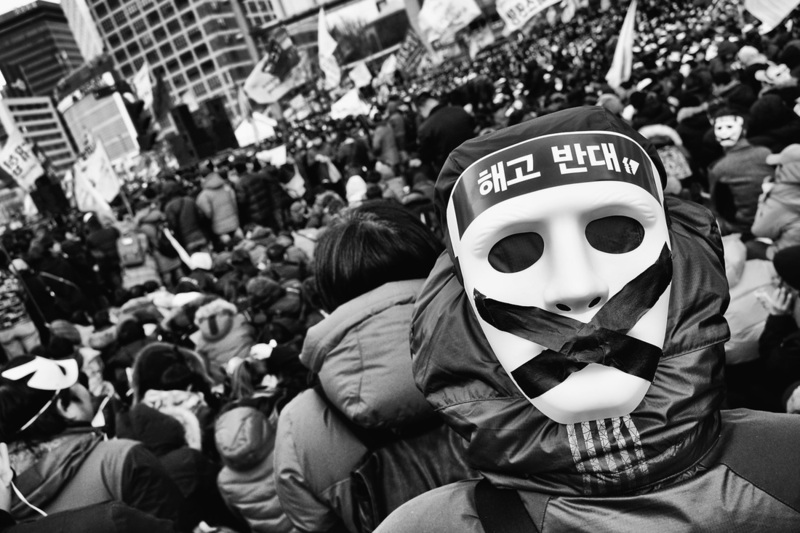 In the days leading up to this event, President Park Geun-hye created controversy by calling for a ban on masks at protests, citing the possibility of infiltration from terrorist elements. The protest remained peaceful in contrast to the prior November 14th protest that clashed with police forces resulting in the use of water cannons and tear gas (a total of 51 people were arrested and 10 injuries were reported). Approximately 14,000 protestors were in attendance. Approximately 18,000 police were deployed to keep the peace. 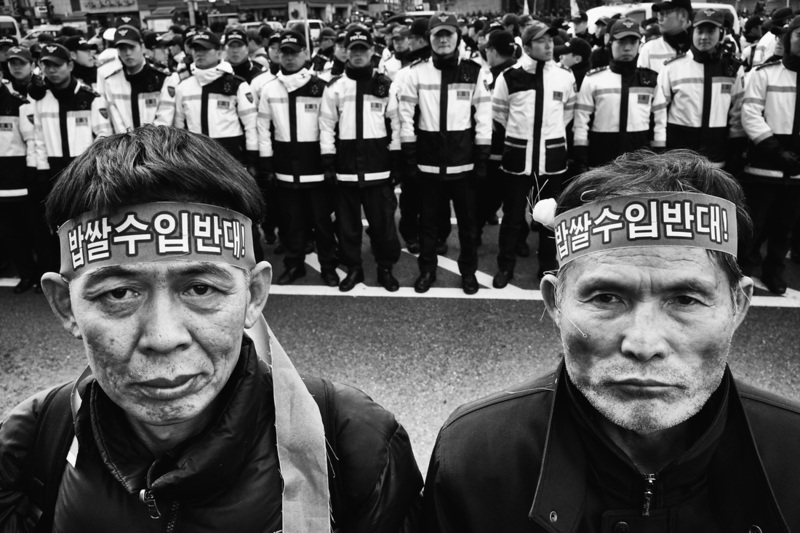 Two protesters show their opposition to labor and agricultural reform at an antigovernment rally in downtown Seoul, South Korea, on December 5, 2015. Tied across their heads, the bandanas they wear read: Resist the importation of rice. Approximately 14,000 protestors were in attendance. The sticker on the mask reads: Oppose labor replacement. Protestors listening to organizers, standing in solidarity. 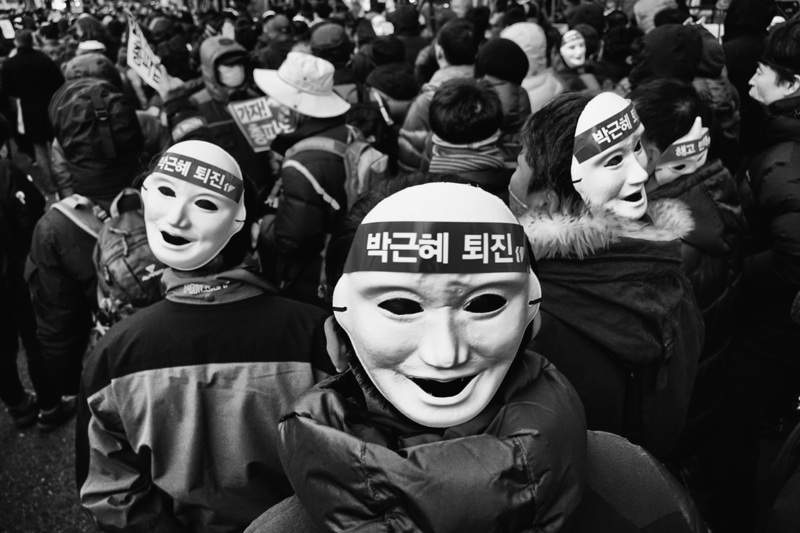 The stickers on these three masks ask for the South Korean President to resign. Police look on as protestors begin mobilizing and marching. The protest remained peaceful in contrast to the November 14th protest which happened a month prior. 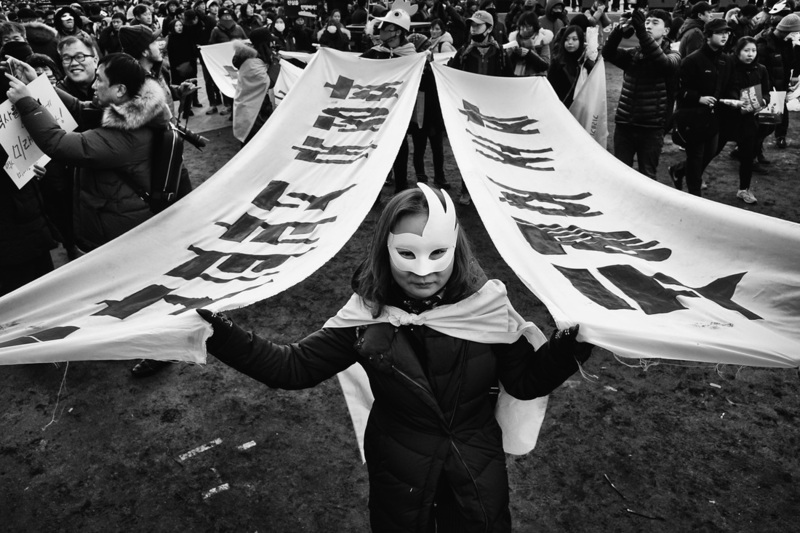 A woman, standing between two banners protesting state sanctioned history books and government policies that allowed the Sewol Ferry Tragedy to occur, prepares to march. 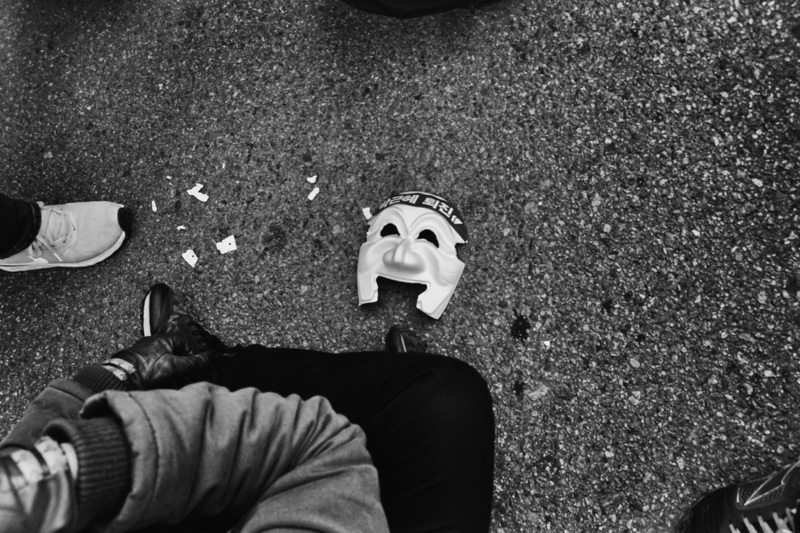 Waiting for the signal of the march to begin, a discarded mask already lay on the ground.